This is photo #12 (of 50) in a series about our life in Brazil. 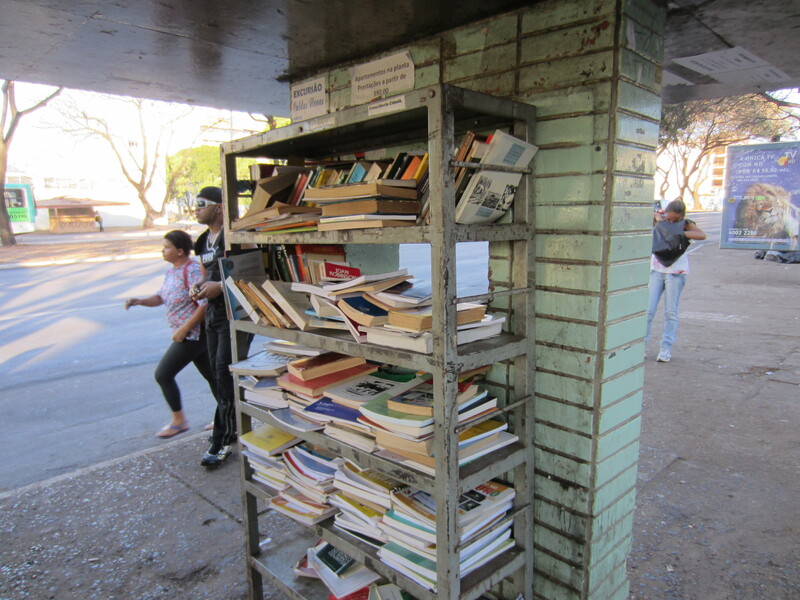 In order to encourage literacy, the city of Brasília has many public places where books are placed free for the taking. This shot was taken at a bus stop. I like your snapshots of Brazil.